Truly autonomous cars won’t exist for at least 10 years, but earlier models starting next year will do some of the driving for you. That’s according to Carlos Ghosn, Chairman and CEO of auto makers Nissan and Renault, who told a Mobile World Congress audience on Monday that self-driving cars will come in three phases. 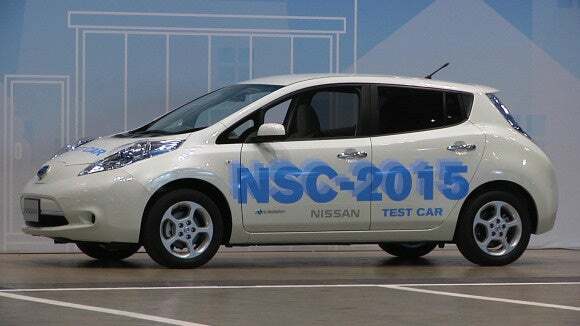 Nissan is working with U.S. space agency NASA on autonomous car technology. Phase One will help you out when you probably least enjoy driving: In traffic jams. Starting next year, Nissan and Renault will make cars that can drive themselves in stop-and-go highway traffic, Ghosn said. The technology’s ready for this, so all that’s left is for governments to allow it, he said. City driving won’t come until the third phase, in 2020. It’s a much bigger challenge because there are so many different objects around that cars have to see and respond to appropriately, Ghosn said. There are some tough decisions, too. For example, a self-driving car in the city would have to decide what to do if it’s stopped at a red light and another car comes up too fast behind it: Go through the intersection or get hit from behind?